Mexico Point Park in Oswego County is a perfect place for young and old to skip stones, walk the beach, swim, and enjoy the beautiful expanse of Lake Ontario. 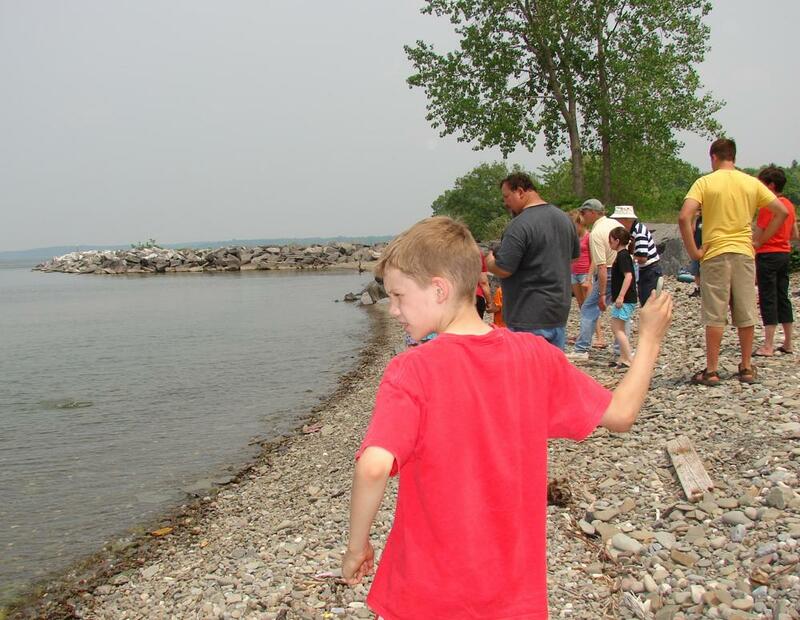 MEXICO, NY – Hands-on art, face painting, a stone-skipping contest, and a pinata are just part of the fun and learning that will take place Sunday, June 5 at Mexico Point Park at the mouth of the Little Salmon River on Lake Ontario. The Mexico Central School art teachers are planning another exciting Celebration of the Arts at the Park with many hands-on art activities. Designing your own T-shirt, bring a photo to make your own personal button, design your own jewelry and create a windsock. Everyone gets to paint! There will also be pottery wheel demonstrations and a photography station. Local guest artists are invited to display their artwork along with any district art students. Snacks will be available. For more information call 315-963-3891 or 315-963 8216. Casey’s Cottage, a former carriage house on the park grounds which was renovated to resemble a medieval cottage, will be open for viewing. There is no admission charge. The event will be cancelled in case of rain.